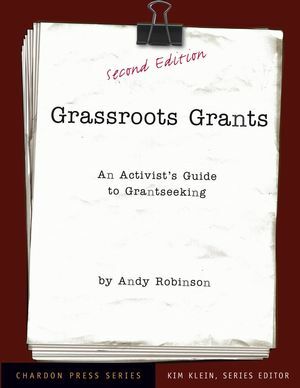 In the revised second edition of the bestselling guide to grantseeking, author and activist Andy Robinson walks you through the challenges of incorporating grants into a complete fundraising program, using grant proposals as organizing plans, designing fundable projects, building proposals piece by piece, and fostering effective communication with funders who support the activist community. This updated edition keeps pace with the changing times and contains all new budgets and model proposals, interviews with funders from the grassroots community and timely information about grantseeking on the Internet. Andy Robinson has worked with a variety of nonprofits as a fundraiser, grantwriter, editor, and community organizer. All told, he has raised more than $4 million for grassroots organizations and written 150 successful proposals. He is the author of Selling Social Change (Without Selling Out): Earned Income Strategies for Nonprofits, available from Jossey-Bass. List of Exhibits, Exercises, and Worksheets. 1. Up from the Grassroots: The Evolution of Grants and Grantseeking. A Different Set of Circumstances: Economy, Politics, Technology. Grantmaking: An Experiment in Democracy? Funders Don’t Act the Way They Used to Act. 2. What Grants Will Get You . . . and What They Won’t. The Downside: Ten Ways That Grants Can Drive You Crazy. The Upside: Ten Ways That Grants Can Benefit Your Work. How Grants Fit into a Complete Fundraising Strategy. 3. Why People (and Funders) Give Away Their Money. Who Gets the Money? Criteria for Giving. 4. 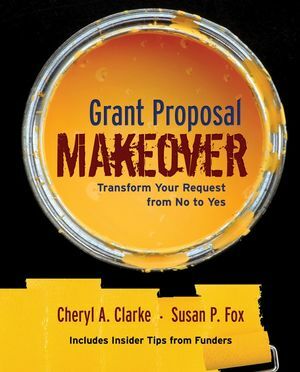 The Grant Proposal as Organizing Plan. Building the Case for Support. Designing Fundable Projects: The Grantwriter as Feasibility Tester. Involving Your Coworkers, Your Allies, Your Neighbors. How Much Money? Developing Budgets for Grant-Funded Projects. Phase Two: Using Computer Resources and Web Searches. Phase Three: Doing Library Research. Phase Four: Studying the Current Guidelines. 6. Building Peer-to-Peer Relationships with Grantmakers. Are We Partners or What? The Value of Honesty. 7. Creating Your Proposal, Piece by Piece. The Value (or Not) of Good Writing. Should You Hire an Outside Grantwriter? Layout: Creating a Good-Looking Proposal. The Components of a Grant Proposal. 8. A Tour Through Four Winning Proposals. Urban Garden Resources of Worcester (UGROW). Hate Free Zone Campaign of Washington. Supportive Parents Information Network (SPIN). 9. Creative Ways to Leverage Your Grants. The Value of Honesty, Revisited. Your Mother Was Right: The Value of Good Manners. 11. The Grantseeker’s Guide to Surviving and Thriving. Using Your Time and Energy Effectively. Resource B: Grant Database Tools, Jean Lewis. Resource C: Raising Money from Faith-Based Grant Programs. Resource D: Legal Issues for Nonprofit Advocates, John Pomeranz. Resource E: Sharing Grants: A Strategy for Collaborative Fundraising, Wendy Wilson.